More than 1,000 doctors from 24 states and three union territories have written to Prime Minister Narendra Modi to enforce the ban Electronic Nicotine Delivery Systems (ENDS), which includes e-cigarettes and e-hookah. E-cigarettes, also called “e-cigs”, “vapes”, “e-hookahs” and “vape pens”, look like regular cigarettes, cigars or pipes. Some look like USB flash drives, pens, and other everyday items. On August 28, 2018, the Ministry of Health and Family Welfare (MoHFW) had issued an advisory to all states/UTs to ban ENDS. This March 2019, a panel of health experts appointed by the ministry submitted a report in which 251 research studies on ENDS were analysed. The panel concluded that ENDS are as bad as any other tobacco product and not safe. Dr. Pankaj Chaturvedi, deputy director, professor, head and neck surgical oncology at Tata Memorial Hospital, said, “It will not be an exaggeration if nicotine is considered a poison. The Centre took a tough stand against nicotine delivery devices. It must now ensure that this does not get diluted.” He said e-cigarettes should not be promoted as a safer alternative. The only way is to completely quit smoking and not initiate use of any tobacco product. Tobacco companies want to hook a new generation on nicotine under the allure of safe smoking. The doctors who wrote to the Prime Minister are associated with the Voice of Tobacco Victims (VoTV) campaign. Some of them said that members of their fraternity are being influenced by the ENDS lobby. 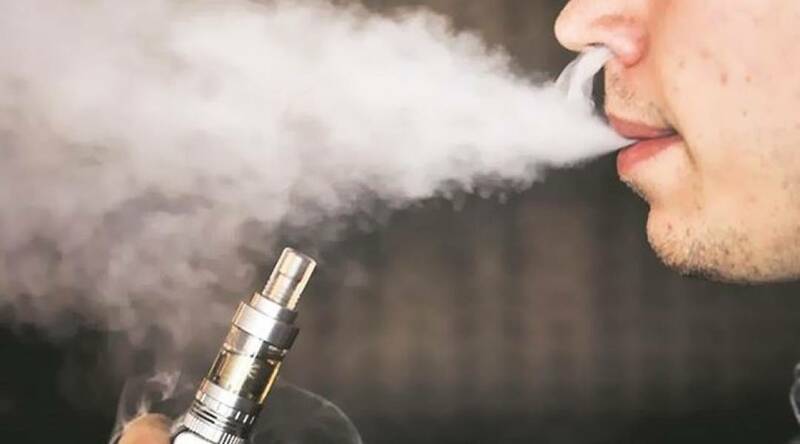 The letter to the Prime Minister quotes a report by the US Food and Drug Administration (FDA), which states that e-cigarette use has increased to 78% from 2017 to 2018 among high school students and 48% among middle school students. The FDA reported that in the US, traditional smoking has been falling for years among teens. That trend continues as, according to the Centre for Disease Control (CDC), high school smoking fell from 15.8% to 7.6% between 2011 and 2017.